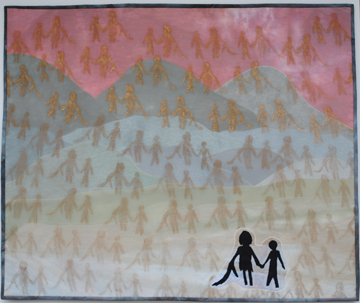 Explorations in Quilting and Life: Great start to October! I received word this weekend that my art quilt, Homeless, was a finalist in Infinity Art Gallery's online Political and Social Art exhibit. It will be display on their website for the remainder of the year. What a nice way to start October! 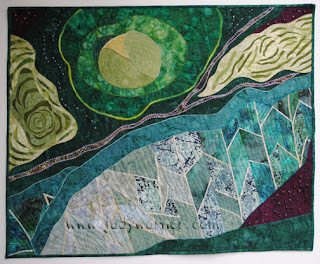 And, if you happen to be near LaConner, WA this weekend, my quilt, Wintergreens, is on display at the La Conner Quilt and Textile Museum Quilt Fest. An auspicious start to October, indeed! Congratulations, Judy! Congratulations Judy! My quilt was selected too - I'm honored to have it alongside your wonderful piece!